Porsche will tackle the 12-hour race in Bathurst (Australia) from the fourth grid row. Porsche Young Professional Matt Campbell set the seventh quickest time in the Top 10 shootout on the Mount Panorama Circuit. 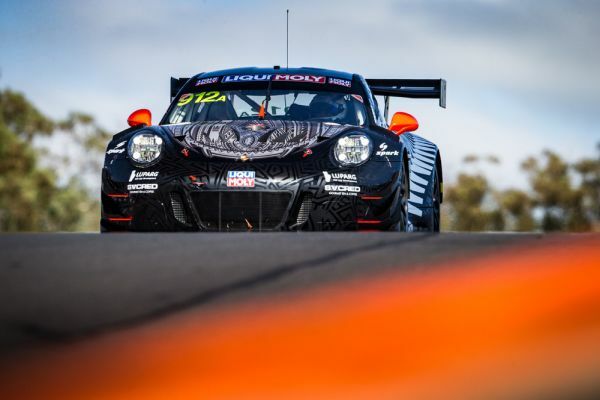 The young Australian tapped virtually the full potential of the Porsche 911 GT3 R, which he shares with factory driver Dirk Werner (Germany) and Porsche Young Professional Dennis Olsen (Norway). 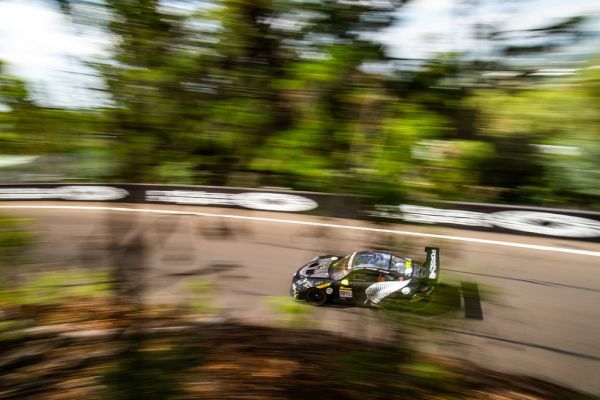 Up against stiff opposition from seven other GT3 manufacturers, Campbell took just 2:03.186 minutes to lap the 6.213-kilometre racetrack in the No. 912 Porsche. In the previous two qualifying sessions, Frenchman Mathieu Jaminet narrowly missed out on being eligible to fight for a top ten grid spot in the sister car run by the EBM (Earl Bamber Motorsport) customer team. On his hottest lap, the Porsche Young Professional was just 0.08 seconds shy of a top ten place. The No. 911 Porsche 911 GT3 R, which Jaminet shares with the works drivers Romain Dumas (France) and Sven Müller (Germany), takes up the race from twelfth on the grid. Factory driver Kévin Estre planted the identical ca. 500 hp car fielded by the Competition Motorsports/McElrea Racing customer squad on 13th place. The Frenchman is joined in the cockpit of the No.12 vehicle by Porsche Junior Jaxon Evans (New Zealand) and David Calvert-Jones (USA). The Porsche 911 GT3 R campaigned by the North American customer team Black Swan Racing sustained irreparable damages in an accident during Friday’s free practice and is unable to take part in any further race activities. After the incident, Tim Pappas (USA), who shared the vehicle with works driver Marc Lieb (Germany) and Jeroen Bleekemolen (Netherlands), was transported to a hospital in Sydney for treatment. He suffered fractures to his right humerus and pelvis. In the B Class, the Porsche 911 GT3 Cup run by the experienced Grove Racing squad, will tackle the endurance race from the best starting position. Britain’s Ben Barker dominated the hunt for top times against the identical cars run by the customer teams Ashley Seward Motorsport and Team Carrera Cup Asia. At the opening round of this year’s Intercontinental GT Challenge, the 2018-spec GT3 vehicle will be fielded for the last time, as stipulated by the regulations. For round two of the season at Laguna Seca (USA), contested over eight hours, customer teams will field the new Porsche 911 GT3 R, which celebrated its race debut last weekend at Daytona (USA). Sebastian Golz (Project Manager 911 GT3 R): “This is a really solid result that we certainly don’t need to hide from. We are up against strong teams and drivers here. The local guys are always particularly fast on this unique racetrack in Bathurst. Matt turned a good lap. Our starting position is absolutely fine. Earl Bamber (EBM team principal): “Our performances were good. We set our sights on getting the car into the top 10 shootout, and we succeeded. We’d secretly hoped to do a little better than seventh, but it’s okay.